In 1870, the Metropolitan Museum and the Boston Museum of Fine Arts opened their doors. 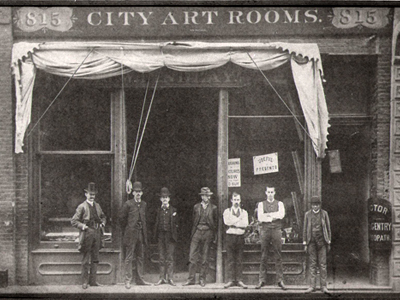 That same year, William Wadsworth Findlay founded his first gallery, called the City Art Rooms, in Kansas City, Missouri. In 1919, the presidency of the gallery was passed on to Findlay’s eldest son, Walstein C. Findlay, Sr. Findlay, Sr. was responsible for bringing European art – including 19th-century English landscapes and portraits, German genre works, and French Impressionist and Barbizon paintings – to the gallery’s collection. 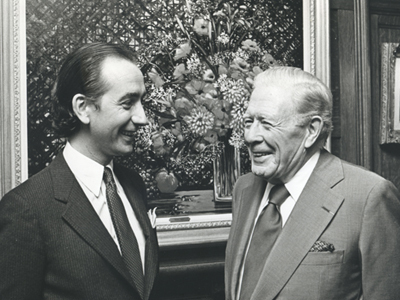 The third generation of Findlay leadership arose when Walstein C. Findlay, Jr. (Wally), joined the family company. Under Findlay, Jr.’s leadership, the gallery became a cultural destination in Kansas City. Findlay Galleries established its second location, in Chicago, in 1931. As a dealer to individuals, institutions, and corporate collectors alike, Wally Findlay Galleries identifies and supports artists with extraordinary ability in their respective mediums. The mission of Wally Findlay Galleries is to promote and provide quality works by great artistic talents. We achieve this act by practicing the highest standards in our relationships with both the artist and the collector. It is our firm belief that both good taste and uncompromising credibility are priceless commodities. The legacy of committed fine art excellence is continued by the company’s Chairman and C.E.O., Mr. James R. Borynack, who acquired the company in late 1998. In 2016, Wally Findlay Galleries acquired David Findlay Jr Gallery, reunited the 146-year old family art business and expanding the galleries American Art presence. The galleries will now operate together as Findlay Galleries, a return to the original name used by the Findlay family from 1870 – 1965. 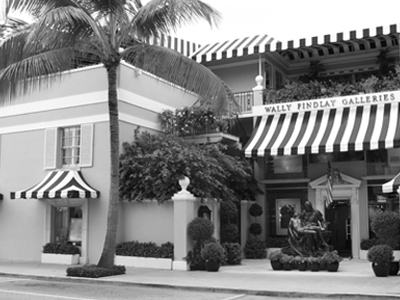 Answering the needs of its clients, the galleries continued to expand dramatically, opening locations in Palm Beach (1961), New York City (1964), Paris (1971), and Beverly Hills (1971) and was now called the Wally Findlay Galleries. Naturally, the styles of work represented by Wally Findlay Galleries throughout its history have reflected the various schools of art from each period, from Impressionism in the 1870’s, to Fauvism in the early- twentieth century, and through subsequent contemporary movements. Wally Findlay Galleries is considered one of the foremost authorities on the French School of Rouen – additionally, while specializing in French Impressionist and Post-Impressionist masters, the gallery also exclusively represents a group of distinguished contemporary artists, both European and American.